 Chancellor deliver the highest standards of financial advice to ensure that you, your family, your business and your employees can best plan for the future. We pride ourselves on the level of service we provide to our clients, distinguishing ourselves through high levels of service and expert financial advice. The services we discuss with clients vary depending on the exact needs and requirements of each individual but we have a long history of discussing investments, pensions, inheritance tax, business planning and employee benefits, as well as many more areas of financial planning for both companies and individuals. The pensions market has changed drastically over the past few years and there are now numerous options to consider. Chancellor provide a bespoke service; we get to know our clients and gain an understanding of their financial and pension goals. We can then advise on the right options for each client. Once a plan is up and running, we ensure that it is performing in line with expectations and able to deliver a comfortable retirement by having a structured review process. Unlike off the shelf arrangements offered by traditional pension providers, such as insurance companies, our bespoke arrangements offer the maximum range of investment opportunities and flexibility that the legislation allows. It may be possible, for example, to use these schemes to invest in commercial property, which can then be let out to the client’s own business, or a third party, in a tax efficient manner. In the case of SSAS schemes, sometimes it is possible to loan part of the pension fund to the client’s business to help, for example, to buy equipment such as plant, machinery and computer equipment. Whilst some employers were first required to auto-enrol their eligible employees into a Qualifying Workplace Pension Scheme as far back as 2012, we continue to provide specialist guidance in this area as the duties of legislation, compliance and governance continue to evolve. We work very carefully with personal and corporate clients to design an appropriate strategy for each portfolio. We start by gaining an understanding of our clients’ attitude toward and capacity to withstand risk and volatility and any particular financial requirements they may have. We have developed a number of investment strategies to meet our client’s objectives including passive and actively managed solutions. The solution adopted is driven entirely by the discussions with our clients and we have no incentive to follow a particular route. Typically, for larger portfolios once we have agreed the appropriate overall investment strategy with our clients, Chancellor outsource the day to day selection of underlying investments to an external Discretionary Manager. Over many years we have built trusted and respected relationships with some of the UK’s best known discretionary fund managers. We are, fiercely independent and want to ensure that our clients receive a cost effective solution, which will provide returns and volatility in line with their expectations and objectives. We have therefore designed a portfolio analysis tool, which aims to provide comfort and confidence through a regular report, to confirm that the fund manager is performing in line with the agreed benchmarks and is adding value to justify their costs. If this is not the case, however, Chancellor will bring this to the attention of our client and agree an action plan to resolve this, which may well be to replace the manager. As Chancellor have no connections through ownership and are not remunerated in any way by any of the third party professionals that we collaborate with, our clients can be confident that they are receiving truly independent advice. Planning is vital in order to pass an estate onto family and to ensure that HMRC does not end up being one of the main beneficiaries. Estate planning can protect assets, minimise Inheritance Tax, allow charitable legacies to be left and ensure family members are provided for, after a loved one has passed away. Whatever the priorities are, early planning is essential. An integral part of estate planning is having a properly drawn up Will. This legal document is the only way to make sure specific wishes are carried out after death. We work with external professional advisers and can recommend a suitable lawyer to meet clients’ needs. Having identified the potential IHT liability we can then balance the current needs and objectives against planning opportunities to make gifts, utilise exemptions and allowances or simply provide insurance to pay the tax. A trust can often help achieve substantial savings in IHT and gives greater control over what happens to an estate, both now and for future generations. We work alongside trustees to manage risk and ensure the appropriate investment strategies are established and monitored. Whilst acting as a trustee can often be a heavy burden, we can assist trustees in selecting an appropriate investment strategy whilst taking into account the trust’s objectives and achieving maximum tax efficiency. Once the investment strategy is in place we independently monitor the performance of the fund manager against agreed benchmarks that we have developed. There are many ways to help protect family members against life’s uncertainties. Taking out policies such as life insurance, mortgage protection, medical insurance, critical illness cover or income protection can help families should the unexpected happen. Protecting a business can be even more vital than protecting homes or cars. Share and loan protection help to provide businesses with a comfort zone in the event of adverse circumstances. This could include the death or disability of a key employee or Director. Many businesses don’t take full advantage of the financial planning resources that are available to them. All businesses will, at some point face a similar range of potential issues. We use our many years of experience in financial management to devise tailored financial solutions to help business owners plan for their future, their company’s future and the future of their employees. A properly structured employee benefits package can help to recruit, reward and retain a loyal workforce.